Home Other News Health Food intolerance: When should you be suspicious? 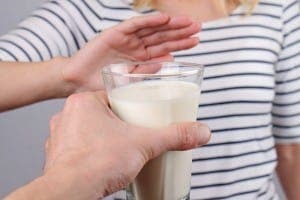 Food intolerance: When should you be suspicious? Those are some of the common complaints of patients who come to our medical consultations in Hospital Clínica Ochoa Marbella with non-specific feelings or symptoms that can make point out at the fact they could suffer from food intolerances. Adverse reactions to foods are a major problem in clinical practice. Often they are poorly understood and managed, largely due to widespread ignorance and confusion not only from patients but also from many doctors. Food intolerance affects between 20% and 30% of the population, although it is increasing. It occurs more often in women and has been placed ahead of food allergies. They can cause adverse reactions, either with symptoms or diseases that are triggered by ingestion of food or of some of its components. 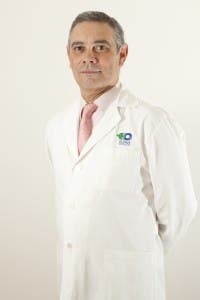 According to Dr. Jose Luis Ramos, the Digestive system specialist from Hospital Ochoa Marbella: the most common food intolerance is against carbohydrates. But when should you suspect it? Symptoms can begin at any age and slowly gradually develop during the patient’s life or be suddenly triggered by another disease or after exposure to drugs or environmental chemicals. Digestive symptoms are among the most common ones, but they can occur almost all over in the body … describing all of them could be quite lengthy. The main indicators detected in the consultation following the descriptions given by patients are bloating, flatulence, digestions, constipation and/or diarrhoea after meals; suggested fibromyalgia, irritable or nervous colon; rhinitis, laryngitis, choking episodes of unknown cause; headaches, at least twice a month without finding the cause … There is a myriad of such symptoms, in the case of children and infants we must also add a low growth, baby colic, autism, attention deficit disorder, hyperactivity and cyclic vomiting syndrome. How can this great pretender be diagnosed? The first step would be to determine whether a real food intolerance exists. The ease or difficulty in doing this will depend on the variety of multiple unrelated symptoms that can affect the entire body as well as on the type of intolerance and its severity. In addition, there are cases in which the symptoms appear quickly and others in which they take longer. Among the tools used by professionals in Hospital Clinica Ochoa for a reliable diagnosis, there are different medical tests: blood, faeces, urine, breath or imaging tests… But of course, “we are not looking for bad foods, but for the problems they can cause in the digestive system, to adapt our treatment” explains our digestive specialist, Dr. Jose Luis Ramos. Regarding treatment: It must be individualized and readjusted throughout time depending on the type and severity of the food intolerance, phases or type of patient. We must adapt the patient’s diet, in the least restrictive way, to avoid nutritional deficiencies, with the least impact on the intestinal flora, our ultimate goal being for the patient to achieve a quality of life as close to normal as possible. The best news for patients is that in Hospital Clinica Ochoa we know from experience that with proper treatment, symptomatology can improve between 60% to 100%.